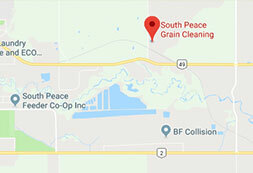 South Peace Grain offers whole, rolled, hammered and blended feed grains to Dawson Creek and the surrounding area. We have wheat, barley, oats and peas available and can provide these products in 25 kg bags, mini-bulk totes and by the truckload. All of our feed products are locally grown and cleaned of impurities prior to packaging so you can be assured that our products are of the highest quality. At SPG we are focused on providing you with great value and service in our new livestock feed division. Please check back periodically as we continue to expand our feed services and product listings (seen below) as we grow. Please contact us at SPG for more info! Feed orders available in 25kg bags or mini-bulk bags. Custom rations available upon request.